In accordance with Rule 8 of the Local Elections (Parishes and Communities) Rules 1986 the parish council may co-opt two councillors. If you would like to join the parish council please contact the Chairman, any councillor, or the Clerk for more information. 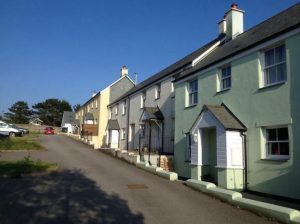 Co-option will take place at the next parish council meeting on Monday 13 May, 7.00 pm at St Ewe Village Hall. PDF of the NOTICE here. 1. NOTICE IS HEREBY GIVEN pursuant to Section 87(2) of the Local Government Act 1972 that LESLEY STORR has ceased to be a member of St Ewe Parish Council and that a casual vacancy exists on the council. 2. 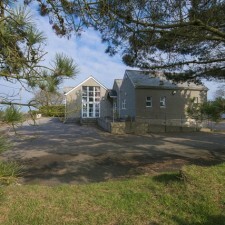 If, within 14 days (excluding Saturdays, Sundays, Christmas Eve, Christmas Day, Good Friday and Bank Holidays) after the date of this Notice, a request for an election to fill the said vacancy is made in writing to the Returning Officer of Cornwall Council at the Council Offices, St Austell Information Service, 39 Penwinnick Road, St Austell PL25 5DR (phone 01209 614373) by TEN (or more) electors for the said Parish an election will be held to fill the vacancy. 3. If the Returning Officer receives fewer than ten written requests for an election by 28th Februray 2019 the Parish Council will fill the vacancy by co-option. A new Affordable Housing project is underway for St Ewe! The Housing Survey completed in July this year identified 26 households that would benefit from St Ewe Affordable Housing. See the SEAHL webpage for the housing survey report. Thank you to everyone who participated in the survey! demonstrate the level of community support for new development. Cornwall Council is now collating the data and they will make their final report in due course. Please find here the ADVICE SURGERIES of Steve Double, Member of Parliament, as a JPG file and as a PDF. St Ewe Parish Council has the opportunity to request signage for the problem roads and ‘pinch points’ in the parish, but permission for the signs may not be granted without evidence. Planning application PA18/00499 withdrawn for more consultation with the parish. PA18/00499 Outline planning application for up to 4 residential dwellings – Land West of St Ewe Village Hall, School Hill, St Ewe, Cornwall PL26 6EY. The Parish Council will keep you posted regarding this application, via this notice page and also in the Agendas to its meetings, which are open to the public. Members of the public may have their say during the Public Session at the beginning of each parish council meeting. The parish council will discuss this planning application and consider its consultee comments on Monday 19 February at 7.00 pm in the Village Hall. Members of the public are cordially invited to the Parish Council meeting and may comment if they wish during the Public Session at the beginning of the meeting. A link to online information for this application is HERE. 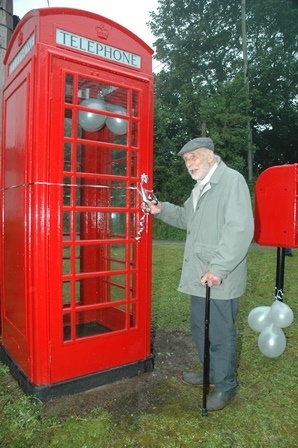 For the princely price of a pound, St Ewe Parish Council bought this old telephone box and, with a good bit of work by local volunteers, Terry, Allan & Alison, Kestle’s Kiosk is looking great. It was officially opened by local artist John Trend, who painted the lovely map that has already helped a few walkers through the hamlet. In the bleak midwinter, a cheerful lighted Christmas Tree has also been seen inside! © All Rights Reserved. 2017. Sponsored by St Ewe Parish Council.